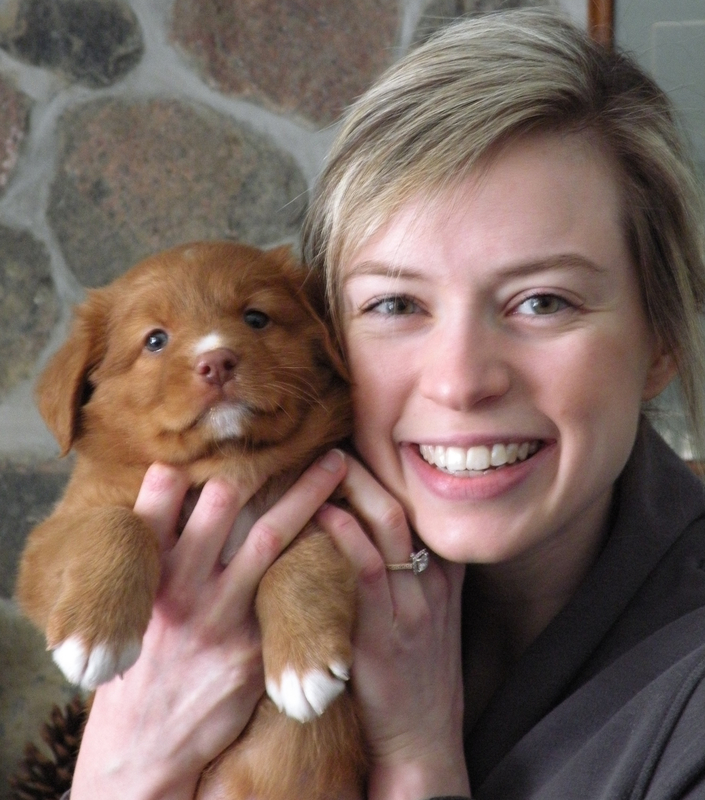 Elissa Steinbock – Elissa grew up with purebred dogs. 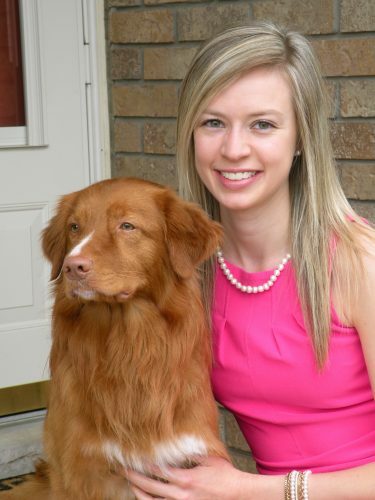 She obtained her first Toller, Duncan, from Lillian Greensides (of Kylador Kennels) when she was just 11 years old. Solely Junior owner handled, Duncan became a multi-champion, and also competed in obedience, field and agility. Elissa has now had and loved Tollers for more than half her life. Elissa was a top Junior Handler in Canada. Elissa had the opportunity to show many different breeds in her career, but her absolute favourite dog to show was Duncan. With Duncan, she won the Central Ontario Regional Finals in 2008. 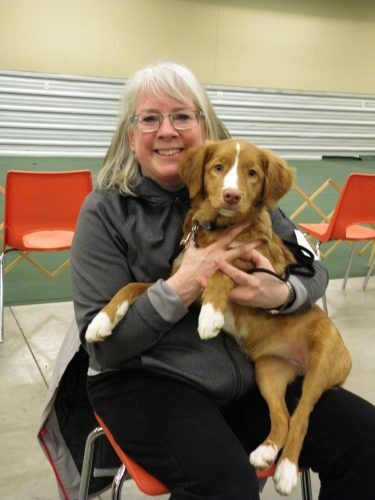 Elissa has also co-bred multiple litters with Lillian Greensides, who has mentored her in showing, training, raising and the Toller breed in general. Elissa is now a veterinarian in London, Ontario. Her professional interests include emergency and reproductive medicine. She lives with her fiancé, Jake, who is also a veterinarian. Betty Steinbock – Betty has had pure-bred dogs for over 30 years. Her first dog, Barney, was a Lakeland Terrier, and since him there have always been dogs in the house. The Steinbock household went from Terriers to Tollers when Betty’s youngest daughter Elissa became interested in showing and training dogs. Betty loves to attend dog shows, but is responsible for the behind the scene work of grooming the dogs and carrying all of the gear! Betty is a retired elementary school teacher. 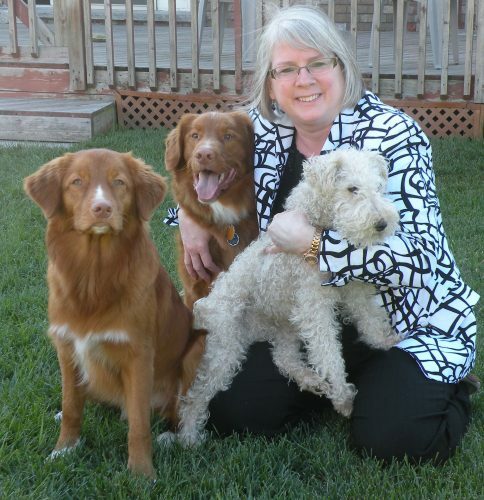 Now she enjoys spending time with her dogs, knitting, cooking and shopping!